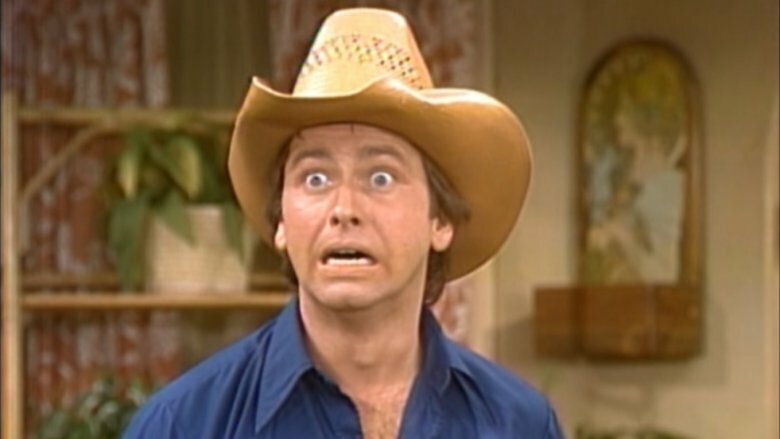 At least two generations grew up watching John Ritter act, crack wise, and take some amazing pratfalls on television. From his early TV movie and guest star work in the '70s through to his star-making, Emmy-winning turn as Jack Tripper on Three's Company and headlining role on 8 Simple Rules for Dating My Teenage Daughter, TV wasn't ever without the charming Ritter for long. A talented and daring clown, he elevated simple sitcoms with cheesy premises into consistently watchable television. 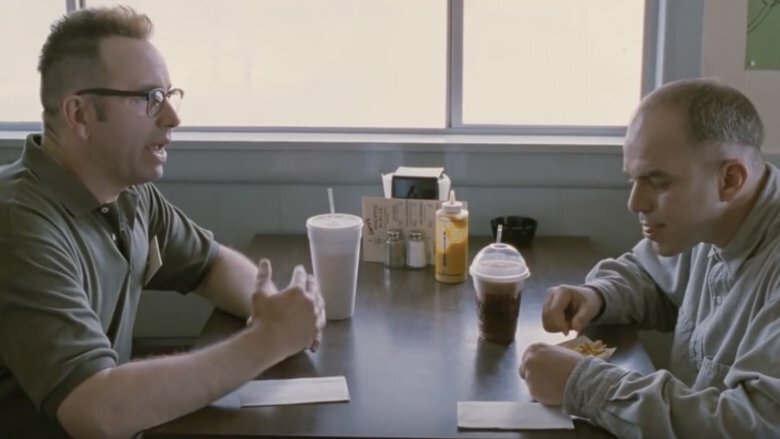 Up until his untimely death at age 54 in 2003, Ritter starred in lots more shows, and popped up in movies too, notably the Problem Child series, the Oscar-winning Sling Blade, and Bad Santa. But even after spending all that time in the spotlight, Ritter remained largely a mystery to the public at large. 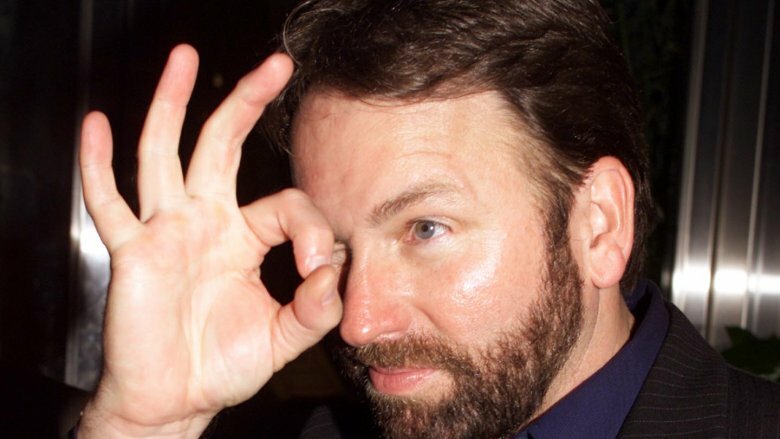 Here's a look into the little known parts of the private and professional lives of one of the most beloved television stars of all time — and the untold truth of John Ritter. On September 11, 2003, Ritter reported for work to the set of 8 Simple Rules for Dating My Teenage Daughter, which had just begun shooting its second season. Complaining of nausea, chest pain, and weakness, he decided to leave the set and head to the emergency room at Providence St. Joseph Medical Center in Burbank. Staff ordered tests and X-rays, and administered some aspirin and basic anti-nausea meds, as it appeared that Ritter was suffering a heart attack. Attending physician Dr. Joseph Lee prescribed anticoagulants (standard for a heart attack) and prepped Ritter for surgery, at which point doctors discovered an aortic dissection, which is a rip of the inside layer of the aorta, causing blood to enter and tear the layers of the aorta asunder. That ordered X-ray was never performed, however, which would have reveled an aortic dissection, not a heart attack, which is treated differently. The discovery of the distressed aorta would have led to immediate surgery, and probably would have saved Ritter's life. Ritter's widow, Amy Yasbeck, sued the hospital for wrongful death, and while a jury cleared doctors in 2008, some good came out the tragic situation. Yasbeck helped form the John Ritter Foundation, which supports research of thoracic aortic disease (such as aortic dissection). The Foundation also distributes "Ritter Rules," or warning signs and symptoms of the condition that killed the beloved actor. Ritter always seemed like a nice guy, and that reputation is probably well-earned and accurate, at least according to his co-stars. After his death in 2003, tributes poured in from the many actors he worked with over many decades of television. One of Ritter's first big roles was on The Waltons, where he befriended child star Mary Elizabeth McDonough, who portrayed Erin Walton. Struggling with body acceptance issues after the physical transformations of puberty hit hard, she grew cold and distant on set, and, as McDonough said on an episode of Oprah: Where Are They Now?, Ritter asked her what was wrong one day, and she kept refusing to talk about it. He didn't pry, but instead suggested that McDonough begin a journal. As she put it, "That night I started journaling and it saved my life." Paul Reiser landed his first acting role in a 1983 TV movie with Ritter called Sunset Limousine, where he and Ritter became "fast friends." Reiser was fired from his next project, and was "moping around my sad little apartment," when he got a call from Ritter, who had somehow found out he'd lost the gig. "But there was John calling to commiserate and tell me about jobs he was fired from and assorted stories of many big-name firings he knew of," Reiser recalled. "Suddenly, I don't feel so bad." 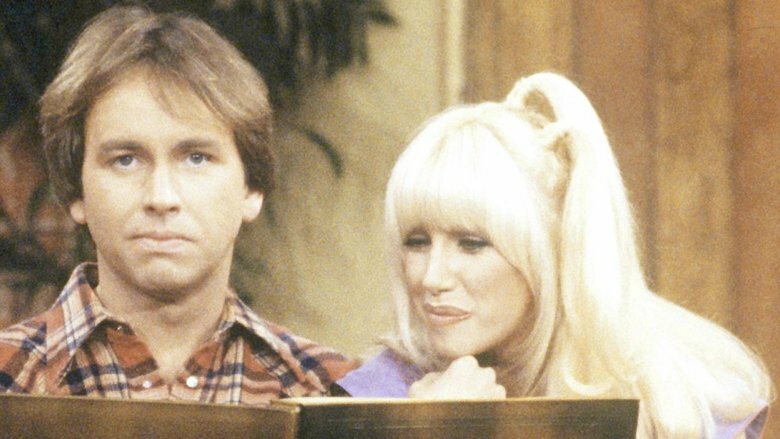 In one of the biggest TV scandals of its time, Suzanne Somers was written off Three's Company, a show she helped make very popular portraying stereotypical "dumb blonde" Chrissy Snow. She got fired after a 1980 contract renegotiation went sour — she wanted a raise from $30,000 an episode to $150,000, commensurate with what John Ritter pulled down. Producers refused, so Somers went on strike… until they brought her back and soon thereafter replaced her with Jenilee Harrison. Not only did Ritter fail to back up his co-star, but he was so appalled by her tactics that he sided with producers — and didn't speak to Somers for more than 20 years. As Somers related on an episode of The Talk, she and Ritter patched things up in 2003, shortly before he died. He tracked her down at her salon, and offered the proverbial olive branch. "In the beauty salon, the receptionist comes over and says, 'You have a phone call… It's John Ritter.' I go over and pick up the phone and he says, 'Listen, I forgive you.' I had a little trouble with that, but I let that go, and I said, 'I love you and I've always loved you.'" 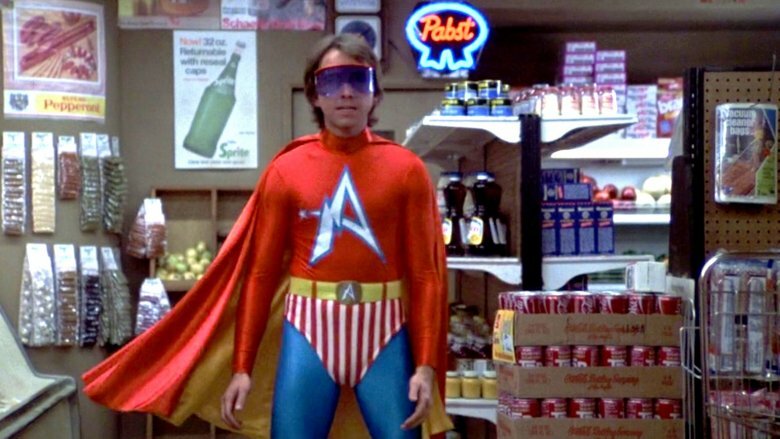 John Ritter worked his way up to fame as an actor in the '70s, taking on small parts in stuff like Medical Center, Kojak, Mannix, M*A*S*H, Rhoda, and Starsky and Hutch. But he actually came from a show business family — his father was the late Tex Ritter, a country music legend and singing movie cowboy in the vein of Roy Rogers and Gene Autry. He played cowboys and sang old-school country songs on Broadway, on radio, on early TV variety shows, and in Western movies. Some of his signature songs included "Jingle, Jangle, Jingle," "The Wayward Wind," and the theme song from High Noon, which won the Oscar for Best Original Song. Despite his many successes, Tex didn't want his son to follow his footsteps into entertainment. The elder Ritter, who had studied law as a young man, wanted John to pursue that path. Tex changed his mind in 1972, when John landed a breakthrough role of Reverend Matthew Fordwick on the hit family drama The Waltons. He died just two years later. "He liked that show," Ritter later said. "That was his speed. He would have hated Three's Company. He wouldn't have laughed at it." 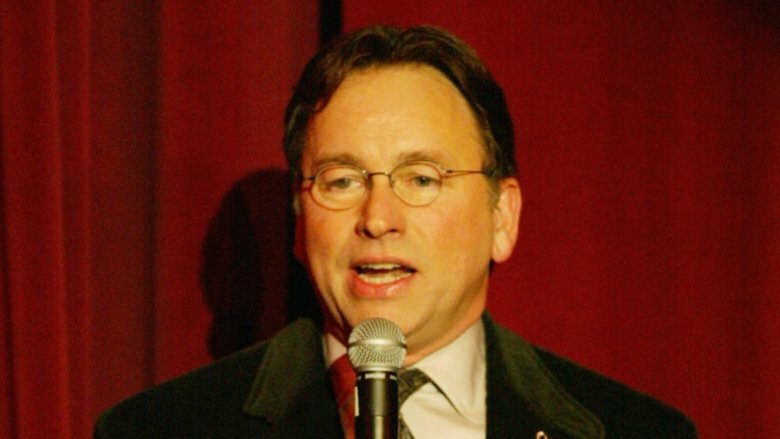 John Ritter is most associated with television, starring on several popular and/or acclaimed shows, such as Three's Company, Hooperman, 8 Simple Rules for Dating My Teenage Daughter, Hearts Afire, and Clifford the Big Red Dog (he voiced the title character). He also starred in quite a few movies, but unlike other massively successful TV stars like George Clooney, Will Smith, or Jennifer Aniston, Ritter wasn't able to parlay his small-screen good fortune into big-screen stardom. During his run on Three's Company, Ritter landed roles in a number of prominent films. He played the president in the dystopian 1979 satire Americathon, a bumbling wannabe superhero in 1980's Hero at Large, the Devil in the 1980 religious comedy Wholly Moses!, and a detective in the 1981 rom-com They All Laughed. None were huge hits, nor did they launch Ritter to the cinema A-list. Neither did his post-Three's Company movies like Real Men, Skin Deep, or Stay Tuned. His biggest box office success, Problem Child, earned $53 million in 1990. More than a decade after Ritter passed on, Thornton still honors his old friend. In 2016, he dedicated Bad Santa 2 to Ritter. And he's still working with Ritters: When Thornton took the lead in the Amazon Video legal drama Goliath, who should land a recurring role as an FBI agent but Ritter's son Jason. Three's Company didn't enjoy the best reputation. Critics and culture watchdogs dismissed the 1977–1984 series as "jiggle television," part of a trend — which also included Charlie's Angels — in which actresses wore skimpy outfits and often suffered from skimpier characterization. 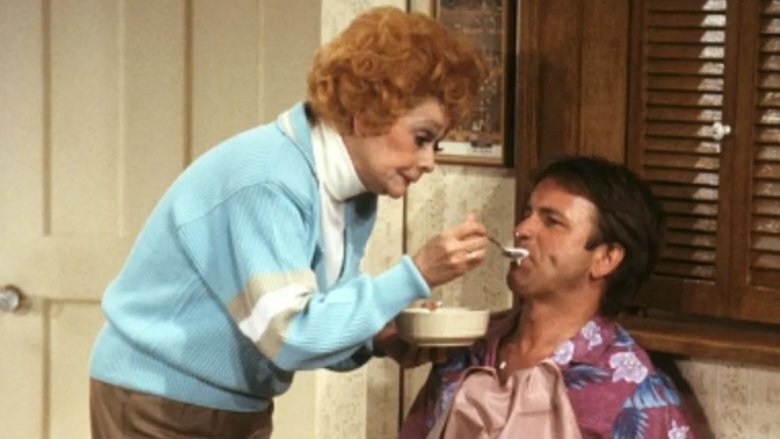 Two things earned Three's Company some cred: When John Ritter won Outstanding Lead Actor in a Comedy Series at the 1984 Emmy Awards, and when Lucille Ball, probably the most respected TV star and sitcom personality ever, revealed herself to be a huge fan of the show — and especially Ritter. Ball hosted a retrospective on Three's Company in 1982, and in 1986, Ritter repaid the favor by guest-starring on her short-lived, would-be comeback vehicle Life with Lucy. Ritter played himself, and Ball's character put him up at her home after accidentally injuring his foot and hands, then wound up performing in a play with him. (The typical Lucy hijinks, in other words.) Shooting the episode was apparently a blast. 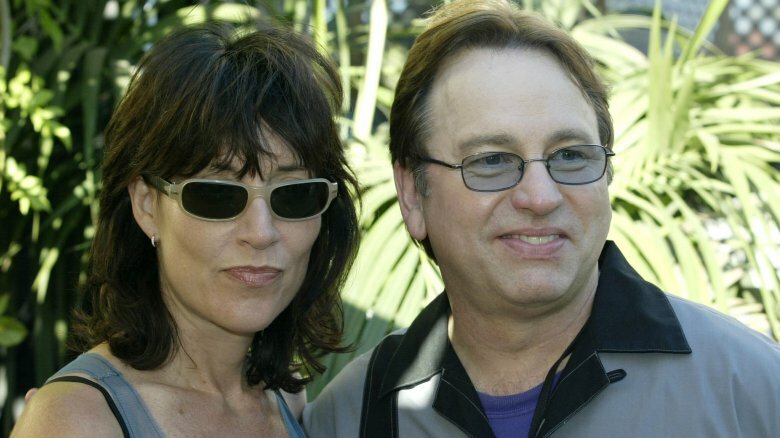 "Lucy had more fun with John Ritter than with anybody," Ball's friend Michael Stern told TV Party. "During the actual filming, he broke her up. She had to say 'Cut!' She said that was only the third time in her life while filming a show that she actually had to say 'Cut' because she was laughing so hard." Suzanne Somers and Joyce DeWitt weren't the only Three's Company cast members running around in revealing clothing. 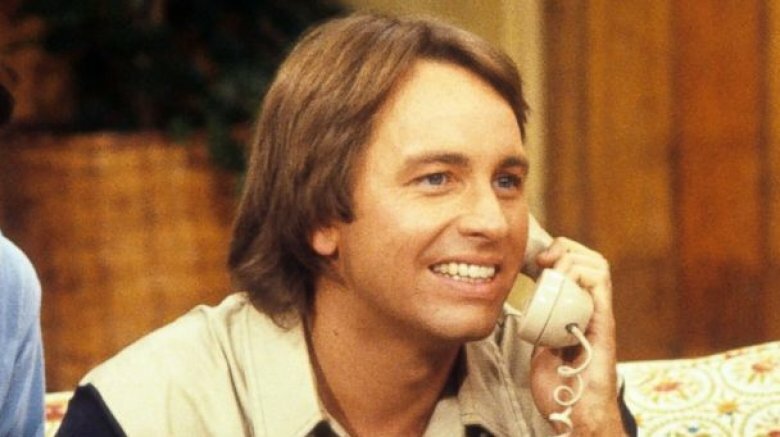 In his role as gadabout bachelor Jack Tripper on the sitcom, John Ritter often wore very short shorts — which were very much in style in the early 1980s. 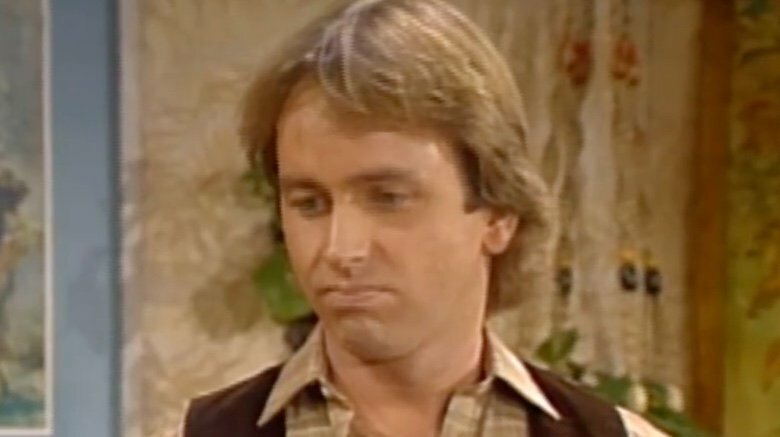 Ritter rocked a pair during a 1983 episode — he walks into a bedroom, sits down on a bed, and takes off his socks. That was all just some mundane stage business… until 2001, when someone discovered something scandalous about it. The episode aired on Nick at Nite, and a keen-eyed viewer noticed something that apparently nobody had noticed when the show first ran, probably because TV was decidedly not high-definition back in the '80s, and not many people were taping shows and freeze-framing things. Evidently, Ritter's shorts were a little too short, and for just a quick bit, a portion of the actor's anatomy became exposed. Nickelodeon subsequently edited the episode to keep everything in Ritter's pants. While Ritter's father was a famous singer, he didn't inherit much of his old man's skills. "My dad and I both would sing. I wouldn't say we were ready to go on Broadway and do a big musical, but we could carry a tune and we enjoyed singing," Jason Ritter told CMT. "I like karaoke, but neither my dad nor I have that amazing deep voice that Tex had." And in some vault somewhere on a Hollywood backlot, there probably sits the ultimate Three's Company outtake: Ritter, along with co-stars Joyce DeWitt and Suzanne Somers, singing that famous and catchy Three's Company theme song. ("Come and knock on our door / we've been waiting for you…") After shooting the first batch of episodes, producers had a song ready to go, co-written by veteran Sesame Street songwriter Joe Raposo, but no one to sing it. They decided to the All in the Family route and have the show's actors give it a shot. "We tried one afternoon to see if the kids could pull it off," associate producer Mimi Seawell said. "They didn't want to, but they tried. They didn't even come close."